The ideal Purofort+ work boot for the construction & infrastructure sector. 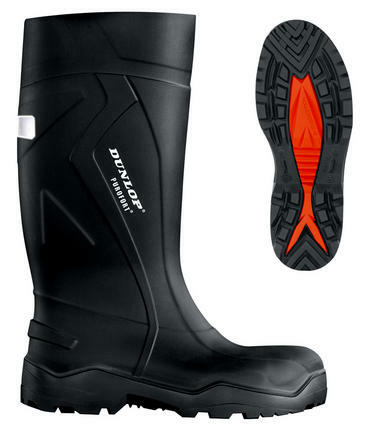 This boot has the highest non-slip certification, SRC. The shaped shaft offers a safe fit and the reinforced insole provides improved gripping properties and prevents sprained ankles. Additional reinforcement in the metatarsal area and the heel offers the foot protection and support when moving. Insulated against the cold for temperatures down to -20°C. Lightweight and durable. Flexible for more comfort. Reflective strip on the heel for better visibility. Resistance: minerals, animal and plant oils and fats, disinfectants, fertilizer, solvents, various chemicals.